Growing up queer in the Bible Belt of the Deep South is a dangerous, scary experience. Day in and day out, messages of condemnation and hate come from all directions: church, home, school…even the bumpers of cars and trucks coasting down the highway. Not every queer person survives this harsh environment, and those who do survive spend a lifetime dealing with effects of those negative messages. 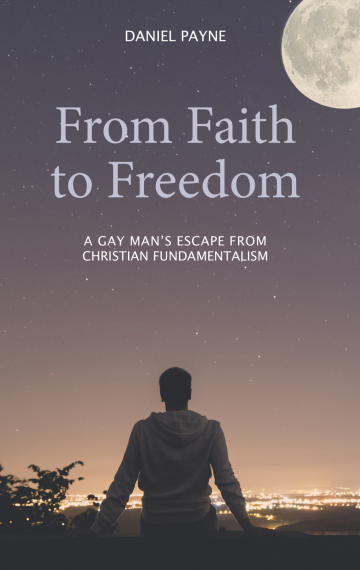 In From Faith to Freedom: A Gay Man’s Escape From Christian Fundamentalism, one such person tells his story of living through that cruel, harsh environment and coming to terms with his homosexuality via a zig-zagging journey of sexual and spiritual exploration. Whether one is queer, straight or somewhere in between, the ups and downs within these pages are sure to offer insight into the joys and struggles of one queer journey through fundamentalism into freedom.